Art-Gen is a one-man game development company led by Arjen de Haan. It's short for Art Generator, and a play on the way anglophones tend to pronounce Arjen. Arjen de Haan specializes as a 2D artist, with a particular affinity for creating recognizable characters and using distinctive colour schemes. He loves to tell stories and convey personality with his work, which is why he writes for the characters he designs quite regularly. To better contribute to the development of games, he also acquired a good understanding of game design and basic skills in programming. As a result, he can function in any team set up, as well as work individually. His usual tools of the trade are Photoshop for pixels, Illustrator for vectors, Animate and ​Spine for animation and Unity for game development. He can also work with After Effects, Premiere and Microsoft Office when needed. From a very young age, Arjen has always loved all forms of art and media, which is why he had a lot of trouble deciding on his future career. But when he was first introduced to videogames through a friend's copy of Super Mario All-Stars, it all came together. He noticed that videogames had the potential to combine the strengths of all art and media, with a core of interactivity. 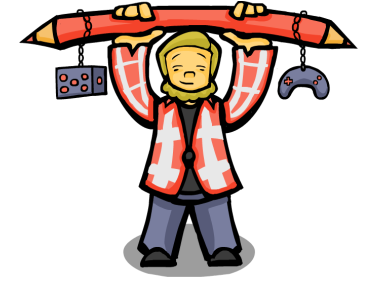 Having discovered his passion, Arjen began to draw characters and levels, write stories and eventually experiment with GameMaker. Many hundreds of drawings, lines of text and minigames later, he was finally able to apply to a game design education at the Deltion College. Finishing that, he specialized towards Game Art at the Hogeschool voor de Kunsten Utrecht, and is now actively looking for work in the games industry. Visit the contact page for many ways to get in contact with Arjen. Want to look at Arjen's CV? You can view it right here.